I recently finished a bottle of my hg Ole Henriksen Truth Serum and was in need for a new one. I actually wanted to try something different because I am a crazy beauty blogger always needing to try new things. 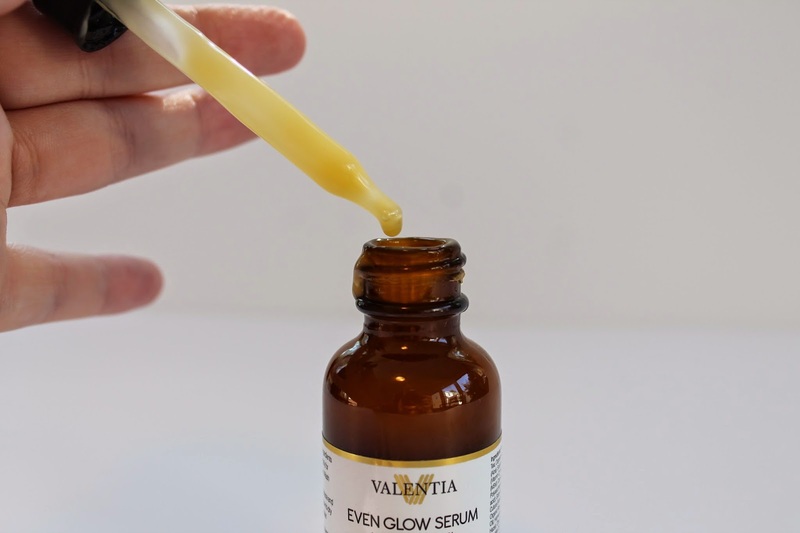 And then this Valentia Even Glow Serum* landed on my door step. I have been testing this new serum out for about two weeks now and I have to say I enjoy it very much. I use is in the morning and at night. It is very hydrating and helps my moisturizer to really sink in. One of the main ingredients is Vitamin C. I love using a serum withVitamin C because is gives you healthy resilent skin. Over time your skin loses Vitamin C so you need to give it more. And Vitamin C helps with anti-aging to produce collagen and reduce wrinkles (I watch a lot of Dr. Oz). This serum also helps keep my red cheeks at bay. All my life I have had these red cheeks and I always try to cover them up with foundation but, this serum helps reduce the redness and make them easier to cover up. 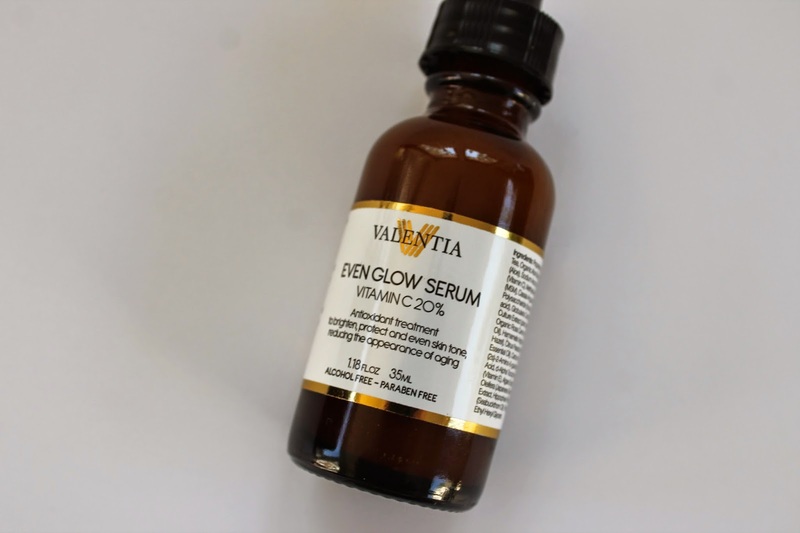 Overall I am really enjoying this Valentia Even Glow Serum. I like that it comes with a dropper. I use two drops for my whole face. And I just pat it into my skin. What is your favorite serum ? ?